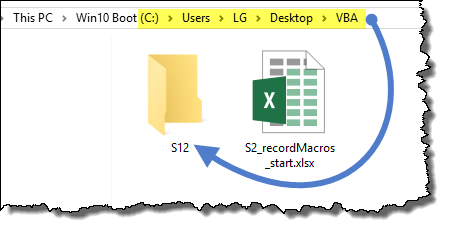 The DIR VBA function plays an important role if you need to refer to other files or folders in your macro. DIR returns a string that represents a directory or file that matches a defined pattern. 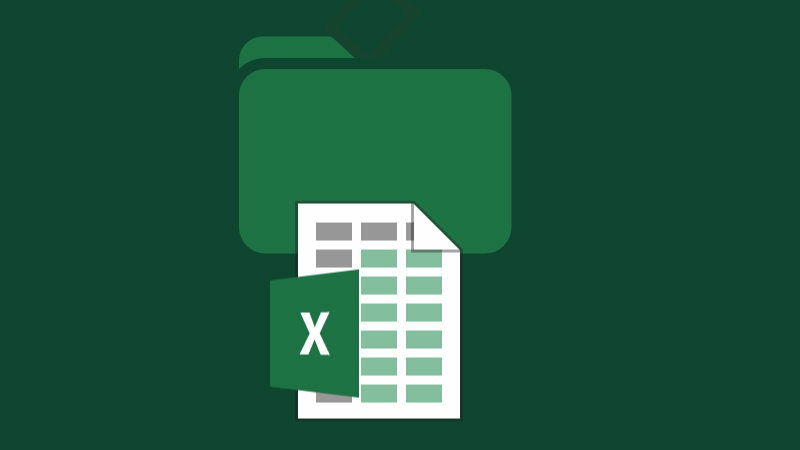 For example, with the DIR function you can check if a specific Excel file exists and then open it in the background, and copy and paste data into the active workbook. You can also check if a folder exists, if it doesn’t, create a new folder in the directory. With DIR you get the ability to loop through each file inside a folder (we cover this in detail in the VBA course). The PATH argument is basically an address which returns the name of your file or folder. If the name is not found, DIR returns an empty string. The ATTRIBUTES argument (which are optional) are listed in the below table. The default is vbNormal, which are files with no specific attributes. You can filter for files with a specific attribute by using the constants listed above. Asterisk (*) – This wildcard character will allow for any character(s) in any quantity. We will use the DIR function to check if a file exists. If the file doesn’t exist, we will display a “File does not exist” message to the user. If the file exists, we will open the file. We will use the DIR function to check if a folder exists. If the folder doesn’t exist, we will prompt the user to ask if they would like to create that folder. If the responds with a “Yes”, we will create the folder for them. First, open the Visual Basic Editor (ALT-F11) and create an empty module (i.e. “LessonsFilesFolders”). The DIR function returns a string, so we need to declare a variable named FileName to hold the returned value. The next step is to query a folder for a file and return the filename if it exists, or an empty string if the file does not exist. We will store the response in the FileName variable we created in the previous step. If the file does not exist, the DIR function will return an empty string. We will test for the empty string response with an IF statement. If the file does not exist, we will display a message stating such. If the file does exist, this first version will simply show the filename in a message box. MsgBox "File does not exist." Execute the code by pressing F5 and observe the response. This confirms that the file exists in the defined folder. Alter the code to use wildcards when searching for the filename. We will also alter the code; instead of displaying a message, we will open the requested file. Execute the code by pressing F5 and observe that the file opens. In this task, we will check to see if a folder exists. If the folder does not exist, we will prompt the user and ask if they would like to create the folder. We will set the Folder variable to hold the folder location stored by the Path variable. Because this is a folder, we will use the optional constant vbDirectory in the DIR function. As we did earlier, we will check to see if the response returns an empty string. If the Folder variable contains an empty string, we will prompt the user to ask if they wish to create the folder. We need to store the user’s response, so we will create a variable to hold the response. If the folder does not exist, we will display a message and store the user’s response in the Answer variable. Now we will test the answer. We will use a Case statement to test the response. If the user responds with “Yes”, we will create the folder. If the user responds with anything else, we will exit the subroutine. If the folder does exist, we will inform the user of its existence with a message box response. Execute the code by pressing F5. Because the folder does not exist, we are presented with the following message prompt. If we answer “Yes”, the folder is created. If we execute the macro a second time, we see the following response. This is because the folder was created in the previous test. We have demonstrated how you can use the DIR function to test whether a file or folder exists and decide what actions you wish to perform depending on the outcome of the test.